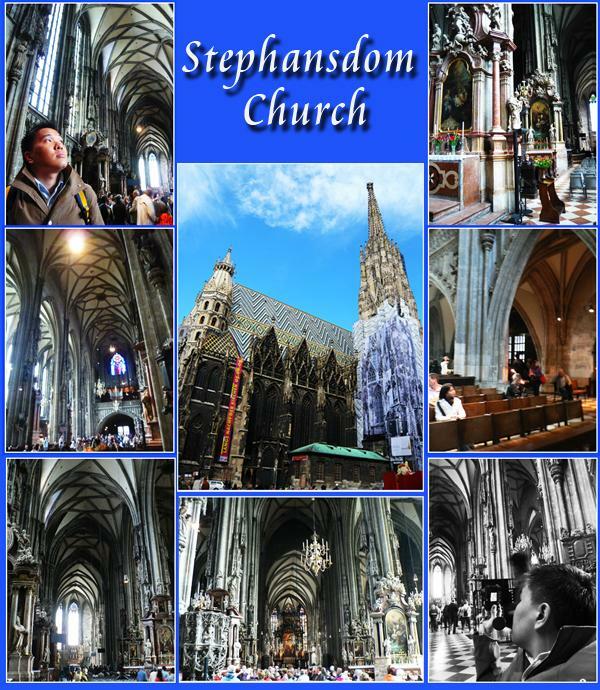 The Gothic Saint Stephen’s Cathedral (Stephensdom) is one of Vienna’s most recognisable structure and is locally known as Steffl (little Stephen), though as you can see from the pictures below, it definitely is nowhere near “little”. From the outside of the cathedral, the first thing that will strike you is the glorious tiled roof, with its dazzling row of chevrons. 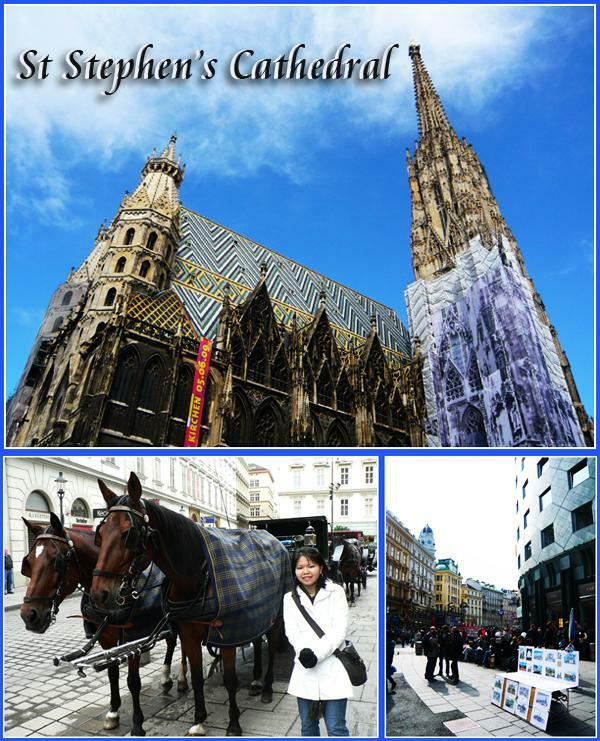 Throughout the year, the area around it, Stephenplatz is crowded with street performers, tour groups and expensive Fiaker (horse-drawn carts). 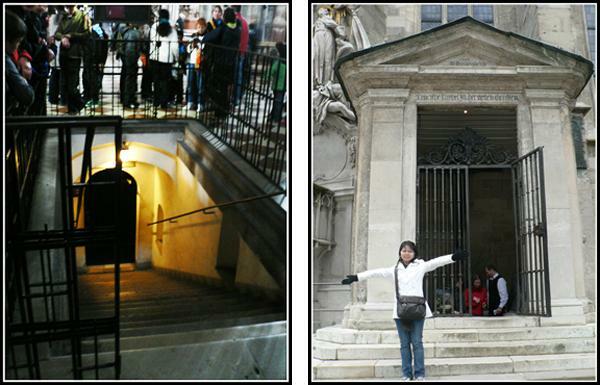 The Entrance and Exit to the Catacombs. Our guide is the guy in Black and White shirt in the background. One thing that ticks me off is the kind of customer service provided for tourist information. 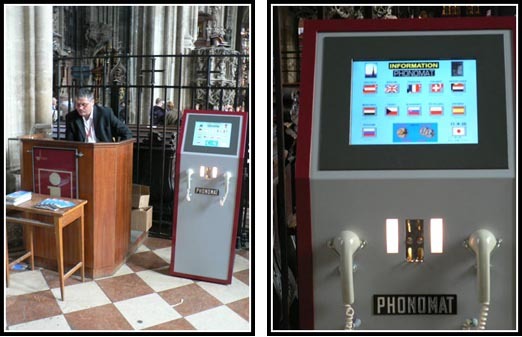 The Tourist Info desk was manned by a grumpy guy who spends most of his reading newspapers and when approached with questions, he will direct them to the Tourist Info machine which will provide you with information about the cathedral in different languages for €2! Amazing cathedral though the piles of bones sounds a bit creepy.